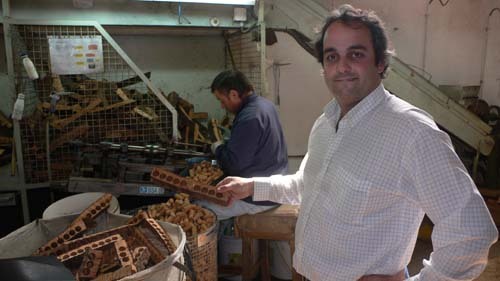 Beginning of April 2008 we had the opportunity to pay a visit to our cork stopper producer J. Tavares, Lda. 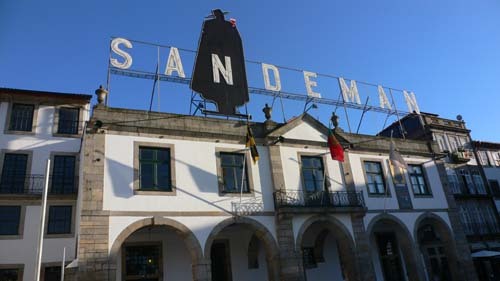 in Portugal. 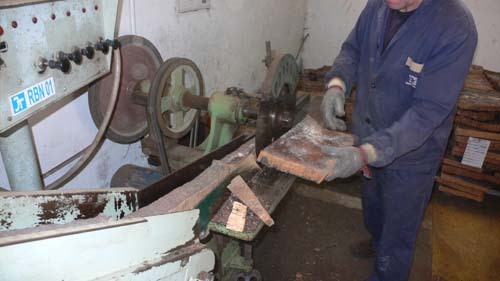 We got a good personal impression on the production of our corks. 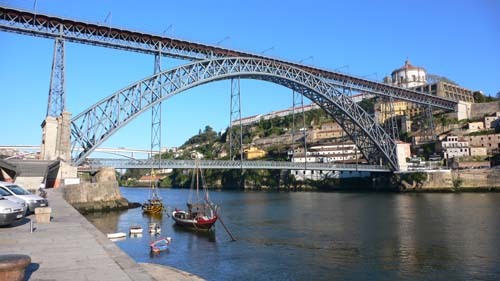 The cork stopper maker J. Tavares is located close to the city Porto in northern Portugal (capital of the famous port wine). Cork is a really remarkable natural product with many outstanding qualities: in the hot Mediterranean climate in the souther part of Portugal grows the cork-oak tree. Its outer bark is protecting the tree during fires and from de-hydration. Only 25 (!) years after planting a new cork-oak the bark can be taken off for the first time - but can‘t be used for making cork stoppers. Every 9 years only the cork-oaks can be harvested again. The cork planks are stored in the cork-oak forests for about 6 months before they are sold to the cork makers in northern Portugal. 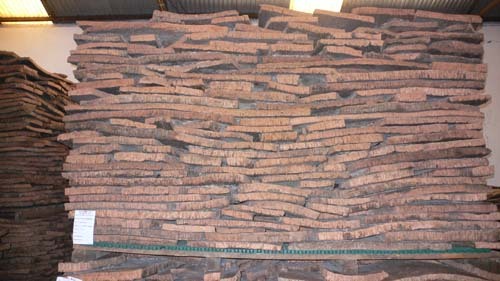 The cork makers rely on long-term relationships with their cork suppliers. Portugal has about 670.000 hectares of cork-oak forests. In the court of the cork factory the cork planks are stored again for further drying and stabilization. Finally the moment for ‚boiling‘ the planks comes: water from their own source (without chlorine) is used. The cork planks are boiled twice for perfect cleaning. 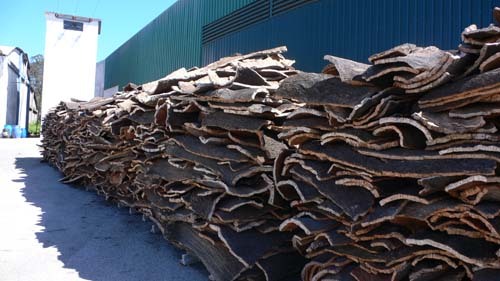 Now you will find the cork planks rather flat and in stacks ready for the following processes. The planks are already sorted by their qualities. 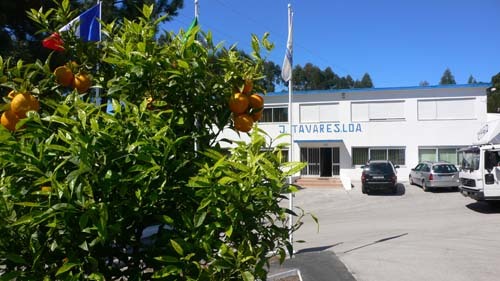 J. Tavares takes advantage of their own laboratory. Here they control all stations of production according to international norms. 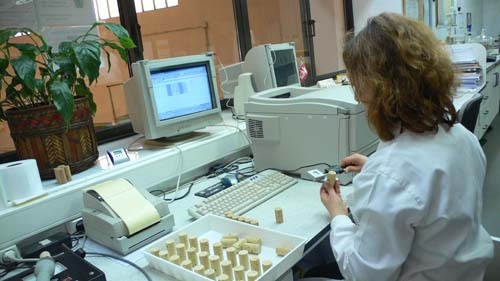 There is a sensorial analysis for all lots of the selected corks by specialized staff with long experience: the photo shows Mrs. Helena, director of the laboratory at here work. 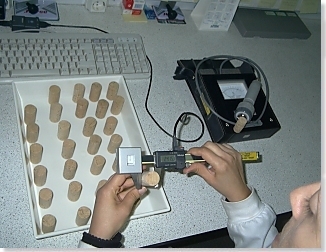 In the laboratory, the cork stoppers' diameter is controlled. Since they are punched out from the still humid planks their diameter is shrinking during the drying process. With this machine the force to pull a cork stopper out of a bottle is measured. Important factors that influence the result is the density of the cork stoppers but as well the thickness of the paraffin layer. In the following process, the oak planks are manually cut into slices. In a next step the raw cork stoppers are punched out in another manual process. The cork planks are at this moment still humid in order to avoid a breaking of the cork stopper. Punching of the corks by a machine doesn‘t result in the same quality of stoppers. It requires many years of experience for the workers to punch out the corks in the best positions of the planks. Export manager, Sr. Filipe Brandão, explained us all the different procedures of production: the photo on the left side shows him with the left-overs after the punching process. These pieces will be ground later on and used for other applications (like cork floor covers etc.). 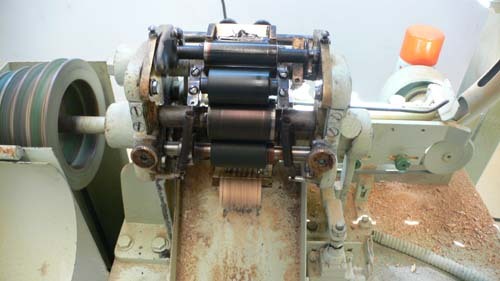 On the photo below you can see well that the stoppers are punched out a the inner side of the cork planks. The outer side is worn by the difficult climate in the forests. The lines that you can find on the top and the bottom of a cork stopper represent each one year of growth. Finally the corks are dried and manually pre-selected according to several criteria: corks with yellow stain, worm holes or green cork reduce the quality and have to be sorted out. 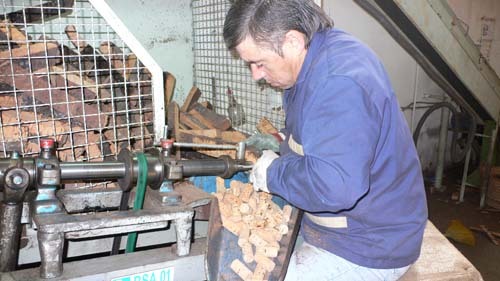 In a next process the surface of the cork stoppers are evenly polished. The circular table shows many segments for the different results of the sensorial test: only the 5 segments marked in red (in upper left section) represent 5 different sensorial impressions that are not acceptable: we know them as the bad cork smell. Finally the cork stoppers are now printed individually for each wine maker. In a last process the corks receive a this layer of paraffin for your easy un-corking. 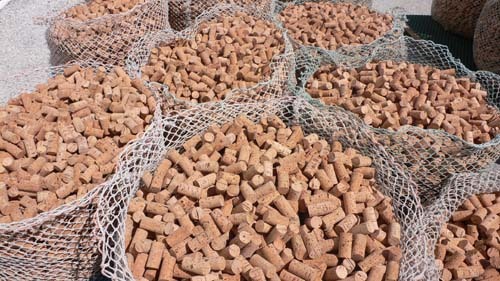 The cork stoppers are now ready for shipment. In the past years the quality for the production of cork stoppers has been improved remarkably. 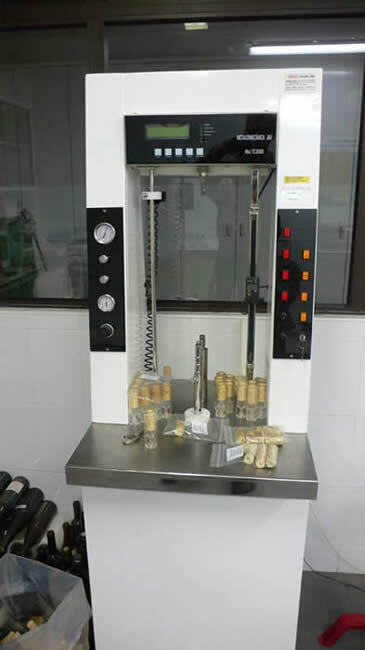 The increasing market share of alternative closing systems for wine bottles like plastic or glass corks or the screw-caps but as well the increasing pressure from the consumers (where as you as our customer and we as wine makers are concerned) forced the cork stopper makers to improve their quality control system. The following table shows the typical 6 different quality levels for natural cork stopper. You will find the price of the cork stoppers in dependance of their length and quality. All figures in percent where as the highest quality (Fleur) is set to 100 %. For the bottling of our wines vintage 2007 we are using only cork stoppers that are 49 mm long and from Fleur or Extra quality. Both highest quality levels are the result of several manual selection procedures and represent the smallest part of the cork stopper production - this is on of the reasons for their higher price. 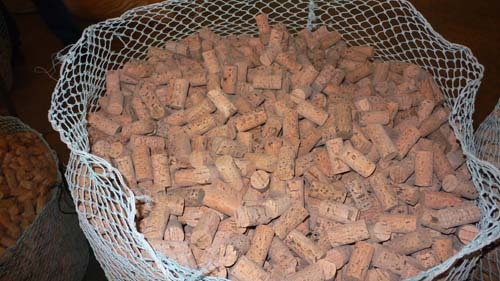 In a huge washing drum the corks are carefully bleached and completely disinfected by use of an H2O2 solution. Corks that are used by our estate are mildly washed with the highest level called ‚nature clean‘. J. Tavares Lda is pointing out that the water being used for the washing process is constantly controlled. In a dedicated oven, the cork stoppers are thoroughly dried. Since we are using exclusively cork stoppers of quality ‚Extra‘ and ‚Fleur‘, their surface doesn‘t require any further treatment. 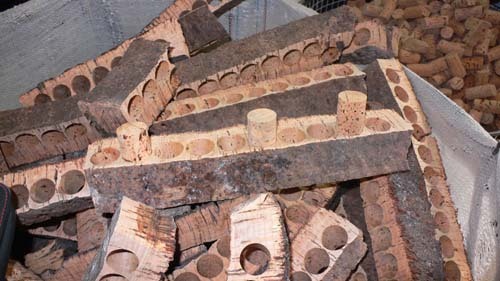 For corks of more simple quality the holes in the surface can be closed by using ground cork powder (colmating process). 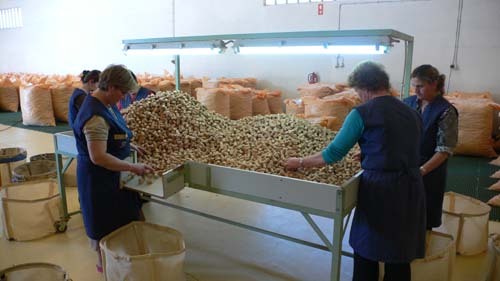 Well-trained and experienced staff is sorting the corks by quality in several processes. The density of a cork stopper is one of the criteria of quality. It can be controlled by taking the weight of the selected lots. Why do we use at Domaine Jean-Paul Schmitt only the best cork qualities? The winery of Jean-Paul Schmitt is growing its grapes only on granite soil. 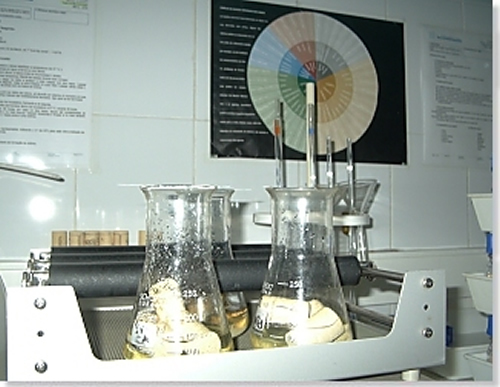 This is the secret for the typical mineral structure of our wines. But only after 2 to 5 years of storage this evolution is mainly completed. Due to this mineral structure our wines can integrate the residual sugar. 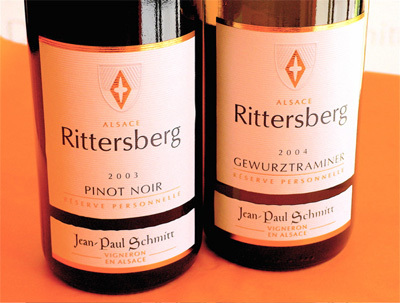 The significant wine acidity levels are responsible for the perfect elegance and fruit - terroir-wines as you will find them only in Alsace. Our wines are produced in close harmony with nature: in 2007 we harvested our first grapes from our reconversion to organic production. All our grapes are hand picked and pressed within a few hours after harvesting. Our average production is as low as 45 hecto-liters per hectare (usually the production in Alsace is 82 Hl/Ha and 60 Hl/Ha for wines from Grand Cru areas). The quality of our wines is determined by the quality of our work (often manually) in the vineyard: in our cellars we control the fermentation process by reducing the fermentation temperature and by using modern tangential filter systems rather than classical plate filters. only in 2007 won the competition of the best Pinot Gris in the world with 99 out of 100 possible points. Our wine require time to mature. Only natural corks of best quality give us the guarantee to store our wines for many years! All other alternative closing technologies such as plastic or glass corks or screw caps guarantee a maximum storage period of 2 years. And this is not long enough for our wines. And by the way: for us it is always a great pleasure to pull a natural cork from a bottle of a great wine. We are proud of our wines. Many of our wines Rittersberg Réserve Personnelle are being sold after 2 - 4 years storage. Same for our late harvest (Vendanges Tardives) and Sélection de Grains Nobles wines. 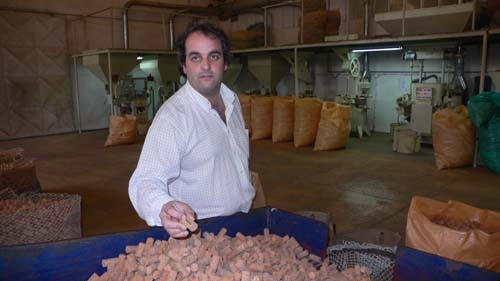 We are pleased to co-operate with a partner such as cork producer J. Tavares who is fully dedicated to his job and the search for best quality. For further questions concerning this subject, please don‘t hesitate getting in contact with us by mail: it will be our and J. Tavares‘ pleasure to answer.